Mike Marjama made his Major League debut on Sunday in Seattle's 10-2 victory over Oakland. He entered the game as a ninth-inning defensive replacement for Carlos Ruiz and did not come to bat. 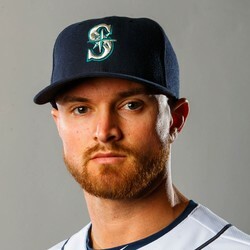 Marjama's contract was selected from Triple-A Tacoma on Friday. The 28-year-old backstop was acquired by the Mariners along with right-handed pitcher Ryan Garton from the Rays on August 6 in exchange for pitcher Anthony Misiewicz and infielder Luis Rengifo. He spent the entire year at Triple-A, both in Tacoma and Durham, batting .250/.321/.424 with 12 home runs and 63 RBIs over 93 games. He offers no fantasy value at this time.